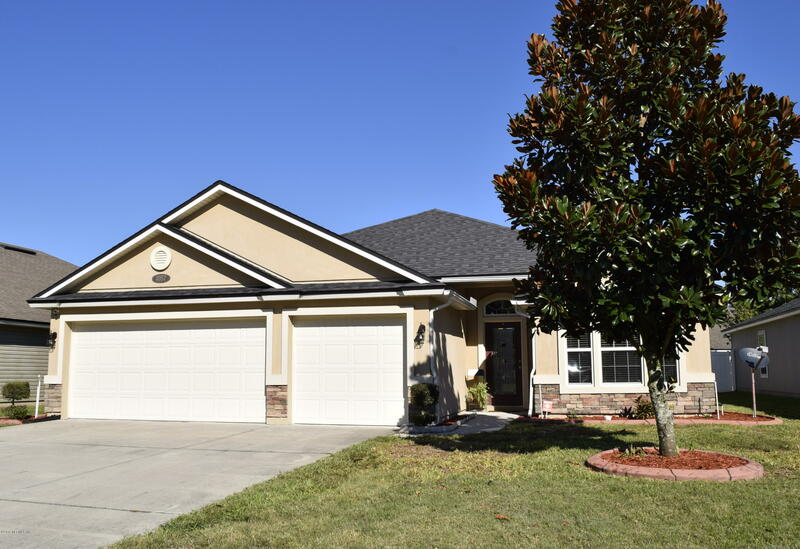 This well maintained newer home is a must see. From the leaded glass door entry, to the large gourmet kitchen with quartz countertops, SS appliances, refrigerator included, double ovens, & plenty of cabinets. Low maintenance exterior with Hardi and vinyl soffits. This home even has gutters! Customized bedroom closets for better storage. Out back you will find a fire pit with a small yard to maintain but right behind a LARGE COMMON AREA that can be used for parties. Master bath has separate closets, separate tub from the shower, and separate vanities. Second bath also has a solid surface counter. This neighborhood is desirable due to the schools and so close to SR23 for those morning and evening commutes. Welcome Home!